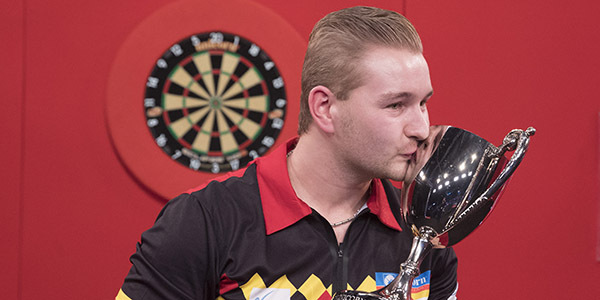 DIMITRI VAN DEN BERGH became the first player to retain the PDC Unicorn World Youth Championship with a 6-3 win over Martin Schindler in Sunday’s final at the Butlin’s Minehead Resort. “It feels incredible.” said Van den Bergh. “I knew that I had the chance to make history and this is more beautiful than last year. 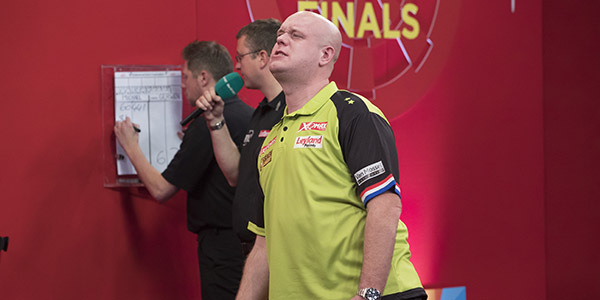 Van den Bergh, 24, will now concentrate solely on the senior circuit, and has set his sights on emulating last year’s run to the quarter-finals of the William Hill World Darts Championship at Alexandra Palace. The Welsh ace had to battle back from behind against both Simon Whitlock and Mensur Suljovic just to reach the Wolverhampton final. He also trailed by three legs twice against Anderson, at 7-4 and 11-8, before hitting back to lift the Eric Bristow Trophy and claim the £110,000 title. 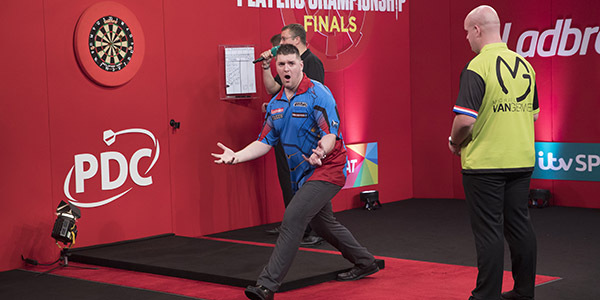 Price began the decider with a 120 finish, and after finding himself 4-2 down following a three-leg burst from Anderson, the Welshman finished 137 to pull back. Anderson, though, extended his advantage to 7-4 before seeing his rival claim four successive legs to regain the edge at 8-7. The world number four found another gear to reel off four legs in a row as he moved back in front, levelling on tops, finishing 72 on the bull, 84 and 144 in taking an 11-8 advantage. Price finished 70 and 78 to respond before a 130 checkout saw him move within touching distance at 12-11.